So how can you go about resigning in a way that will reflect as well on you as possible? Here are a few tips for resigning in style. Once you have let your boss know that you intend on leaving there’s no going back, so you need to be entirely sure that you are doing the right thing. If there is a specific reason that you want to leave, think about whether you have explored all options that could resolve the problem. The same goes for seeking out a new challenge, as there may be scope for development within your existing company if you bring your concerns to your boss’s attention. If you want to maintain ties with your employer, it’s always a good idea to arrange a face-to-face meeting with them, rather than merely delivering an impersonal resignation letter. Think about what you are going to say ahead of the appointment and stick to it. Make it clear that what you are doing is giving your oral resignation, in as diplomatic way as possible. You’ve made the decision to leave the company, so it’s likely that you have got a few issues with the place, but now is not the time to open a can of worms. 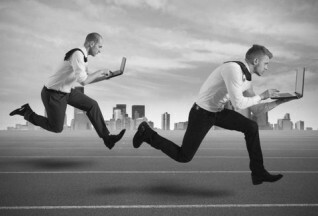 Focus on the positives about your time working for the firm. You’re leaving the company now, so it’s probably time to let the negatives go. Unless your boss is expecting you to quit your job, you should be prepared for how they may react to the bombshell being dropped. The news may come as a shock to them and they may become emotional or confrontational. Try to remain calm and composed and end the meeting on a good note. If you have become a valued member of the team over the time you have worked with the company, chances are that your boss will be disappointed to see you go, so they may try to make you change your mind. If you are 100% sure that you want to leave, stick to your guns and politely let them know that your mind is made up. Unless of course they offer you an attractive alternative that would be foolish to turn down, in which case now is your time to negotiate! 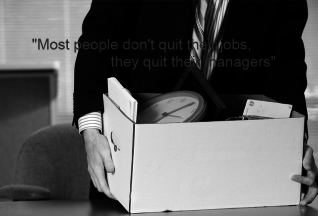 Most employment contracts will state that you must work a notice period upon resigning from your role, so that your employer has time to prepare for your departure. Though some employers are willing to let you off of your notice period, or may even want you to leave straight away, it is important that you show that you are willing to see out your notice period and do everything you can to help with the transition. Now that you have let your boss know your intentions, you should put it in writing to make it official. 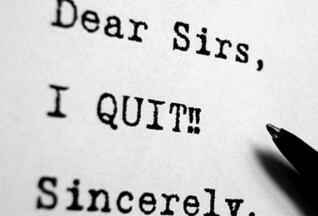 In your resignation letter you must include your name, date, your boss’s details, notice of termination of employment, the date you will be leaving and finally, your signature. If there is anything else you would like to include, that you may have missed out when speaking to your boss in person you can add it to your letter. Just keep it positive! For example, you may want to thank your boss for the opportunities they presented you and for the support they gave you during your time at the firm. Before you leave, make sure that you have completed all outstanding tasks that you were working on, so that somebody else is not left to tie up the loose ends. Participate in a smooth handover with whoever is taking on your role and be as cooperative and helpful as possible. You never know when you are going to cross paths with your colleagues in the future, so it’s in your benefit to leave on a good note!